161 EP EAST GERMANY (1970) Amon*. Shu*. Tefnut*. Imperforate phase proof in final colors. Designs from Lion Temple in Musawwarat Sudan. Scott No 1215, Yvert No 1297. 3196 EP EAST GERMANY (1970) Horseman's tombstone (700 AD)*. Imperforate phase proof in final colors. Scott No 1184, Yvert No 1246. 3197 EP EAST GERMANY (1970) Clay drum (2500 BC)*. Imperforate phase proof in final colors. Scott No 1187, Yvert No 1249. 3198 EP EAST GERMANY (1970) Elephants*. Prisoners of war*. Imperforate phase proof pair with gutter in final colors. Designs from Lion Temple in Musawwarat Sudan. Scott No 1220, Yvert No 1302. 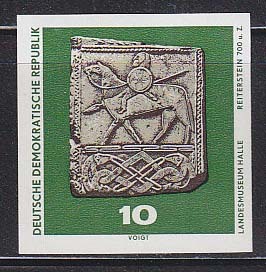 9196 EP EAST GERMANY (1970) Horseman with spear*. Set of 3 imperforate progressive proofs. Horseman's Tombstone - Archeological treasures from Halle Museum. Scott No 1184, Yvert No 1246. These imperforate proofs from the archives of the former East German printer are very rare (only about 10 copies exist). 9197 EP EAST GERMANY (1970) Clay Drum*. Set of 3 imperforate progressive proofs. Archeological treasures of the Halle Museum. Scott No 1187, Yvert No 1249. These imperforate proofs from the archives of the former East German printer are very rare (only about 10 copies exist). 9198 EP EAST GERMANY (1970) Amon*. Shu*. Tefnut*. Set of 4 imperforate progressive proofs. Designs from Lion Temple in Musawwarat, Sudan. Scott No 1215, Yvert No 1297. These imperforate proofs from the archives of the former East German printer are very rare (only about 10 copies exist). 9199 EP EAST GERMANY (1970) Head of King Amekhamani*. Set of 4 imperforate progressive proofs. Designs from Lion Temple in Musawwarat, Sudan. Scott No 1216, Yvert No 1298. 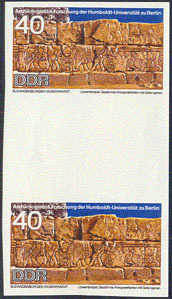 These imperforate proofs from the archives of the former EastGerman printer are very rare (only about 10 copies exist). 9200 EP EAST GERMANY (1970) Prince Arka*. Set of 4 imperforate progressive proofs. Designs from Lion Temple in Musawwarat, Sudan. Scott No 1218, Yvert No 1300. These imperforate proofs from the archives of the former East German printer are very rare (only about 10 copies exist). 9201 EP EAST GERMANY (1970) God Arensnuphis*. Set of 4 imperforate progressive proofs. Designs from Lion Temple in Musawwarat, Sudan. Scott No 1219, Yvert No 1301. These imperforate proofs from the archives of the former East German printer are very rare (only about 10 copies exist). 9202 EP EAST GERMANY (1970) Elephants. Prisoners of War*. Set of 5 imperforate progressive proofs. Designs from Lion Temple in Musawwarat, Sudan. Scott No 1220, Yvert No 1302. These imperforate proofs from the archives of the former East German printer are very rare (only about 10 copies exist). 9203 EP EAST GERMANY (1971) Bronze head*. Set of 3 imperforate progressive proofs. Leipzig Ethnological Museum. Bronze head from Africa. Scott No 1259, Yvert No 1323. These imperforate proofs from the archives of the former East German printer are very rare (only about 10 copies exist). 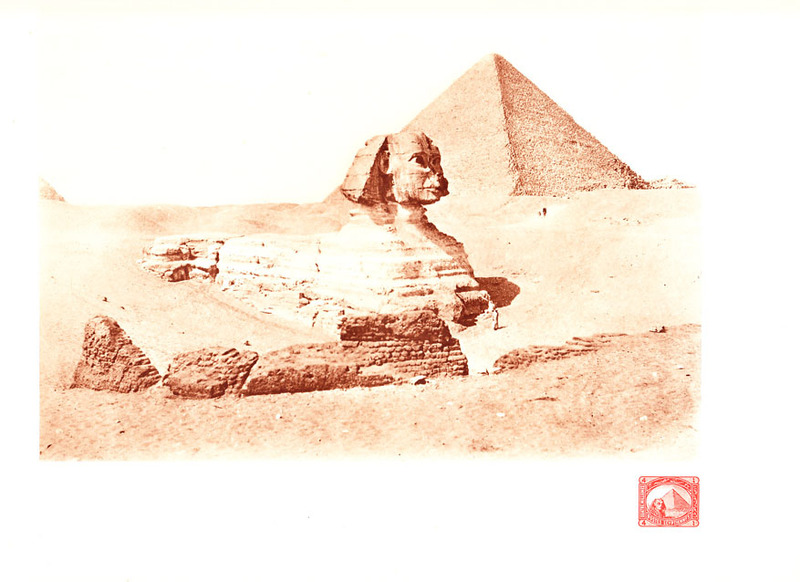 15164 EP EGYPT (1906) Sphinx. Pyramid. 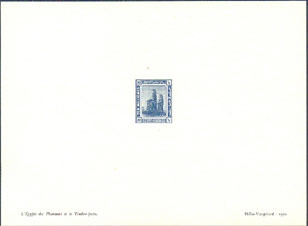 Oversized Helio-Vaugirard proof showing issued stamp and photo of the objects. Scott No 47. Similar proofs have sold at auction for over $200! 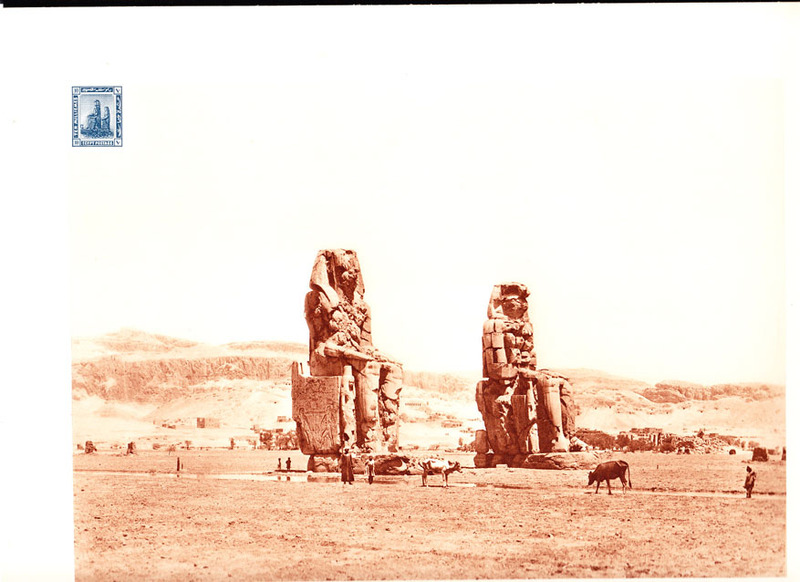 15165 EP EGYPT (1914) Colossus of Memnon (Thebes). 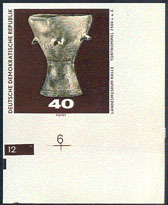 Oversized Helio-Vaugirard proof showing issued stamp and photo of the colossi. Scott No 55. Similar proofs have sold at auction for over $200! 15166 EP EGYPT (1914) Colossus of Thebes*. Proof on thin paper in issued colors similar to French community deluxe proofs, printed by Helio-Vaugirard in 1950. Scott No 55. Similar proofs have sold at auction for over $200! 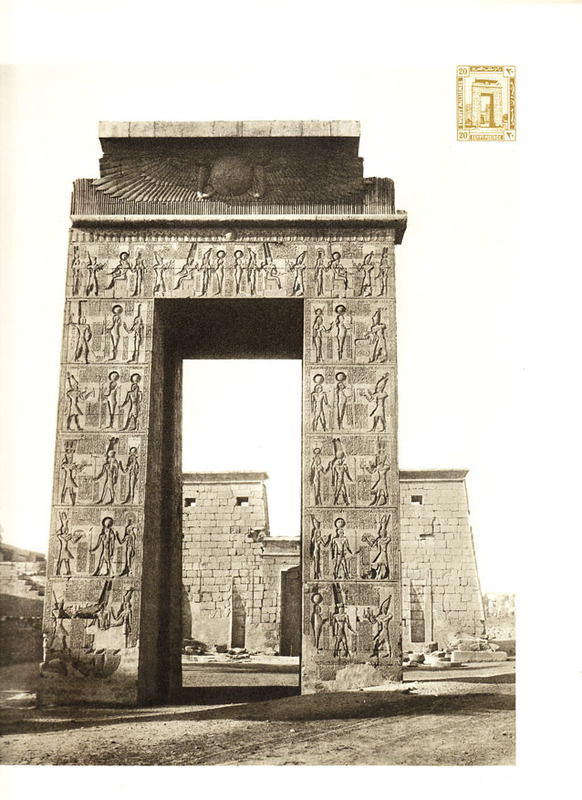 15167 EP EGYPT (1914) Pylon of Karnak*. Temple of Konshu*. Proof on thin paper in issued colors similar to French community deluxe proofs, printed by Helio-Vaugirard in 1950. Scott No 56. Similar proofs have sold at auction for over $200! 15168 EP EGYPT (1914) Pylon of Karnak. Oversized Helio-Vaugirard proof showing issued stamp and photo of the arch. Scott No 56. Similar proofs have sold at auction for over $200! 15169 EP EGYPT (1914) Rock temple of Abu Simbel*. Proof on thin paper in issued colors similar to French community deluxe proofs, printed by Helio-Vaugirard in 1950. Scott No 58. Similar proofs have sold at auction for over $200! 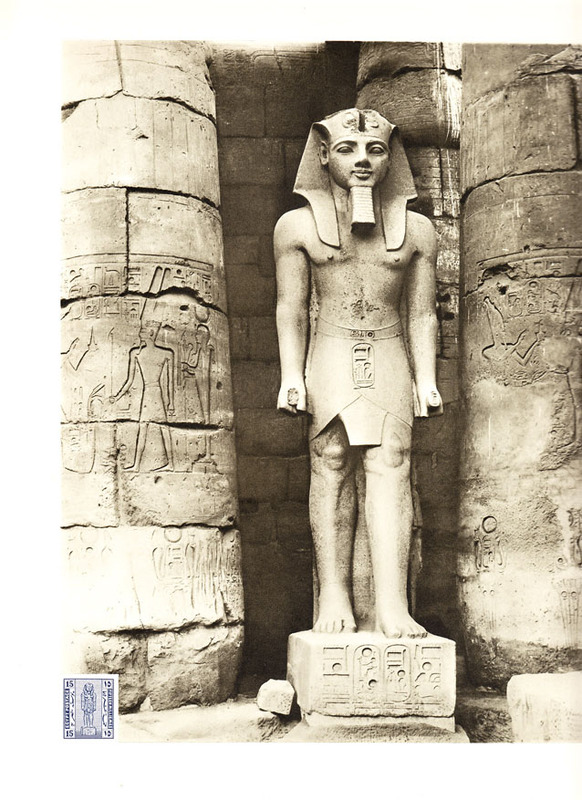 15170 EP EGYPT (1922) Statue of Ramses II*. Proof on thin paper in issued colors similar to French community deluxe proofs, printed by Helio-Vaugirard in 1950. Scott No 70. Similar proofs have sold at auction for over $200! 15171 EP EGYPT (1922) Statue of Ramses IIl. 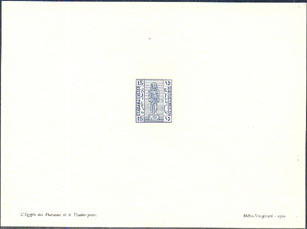 Oversized Helio-Vaugirard proof showing issued stamp and photo of the statue. Scott No 70. Similar proofs have sold at auction for over $200! 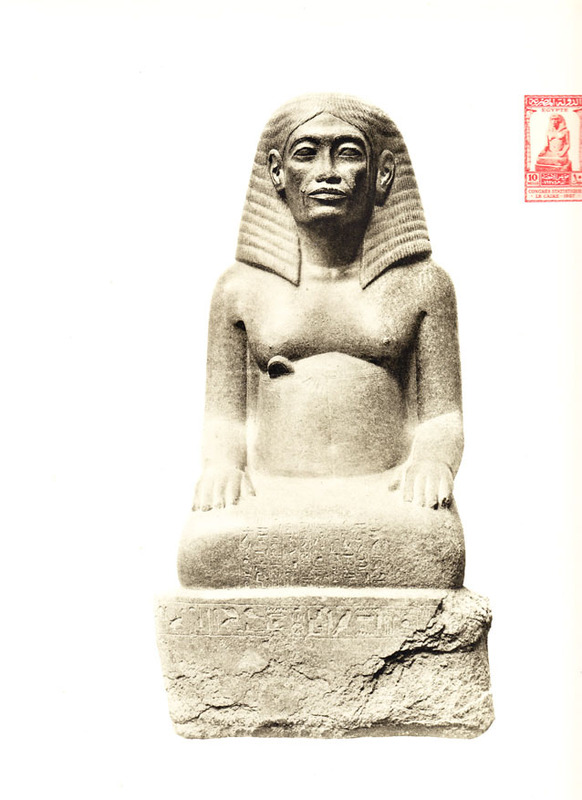 15172 EP EGYPT (1927) Statue of Amenhotep, son of Hapu. 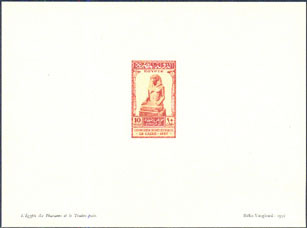 Oversized Helio-Vaugirard proof showing issued stamp and photo of the statue. Scott No 151. Similar proofs have sold at auction for over $200! 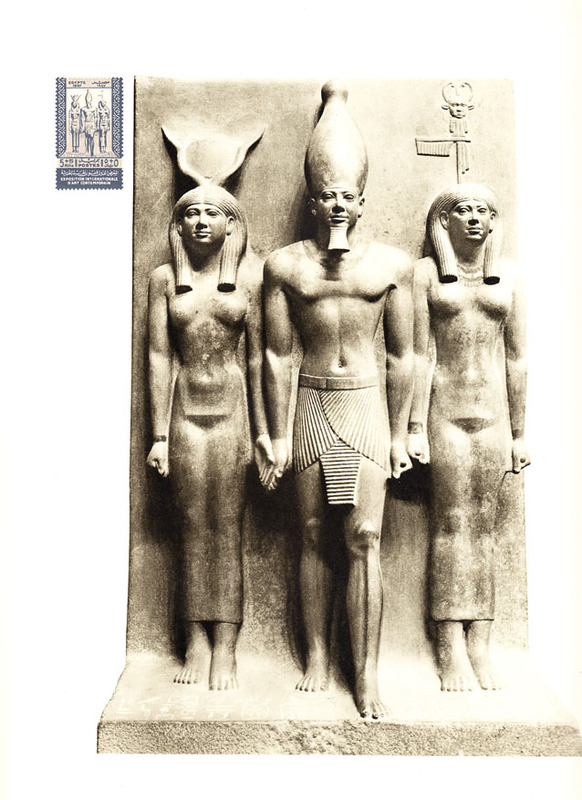 15173 EP EGYPT (1927) Statue of Amenhotep*. Proof on thin paper in issued colors similar to French community deluxe proofs, printed by Helio-Vaugirard in 1950. Cairo Statistical Congress. Scott No 151. Similar proofs have sold at auction for over $200! 15174 EP EGYPT (1947) Hathor*. King Men-Kau-Re*. Jackalheaded Goddess*. Oversized Helio-Vaugirard proof showing issued stamp and photo of the statues. Scott No B9, Yvert No 250. Similar proofs have sold at auction for over $200! 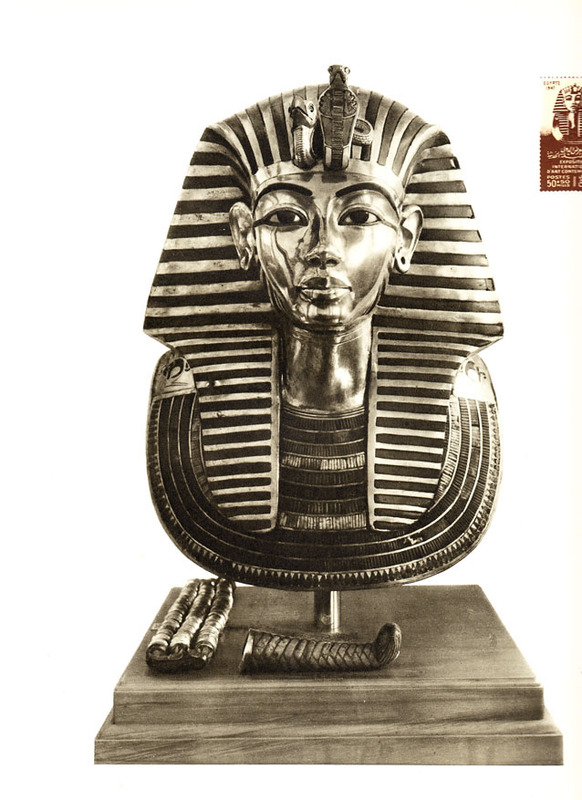 15175 EP EGYPT (1947) Funerary mask of Tutankhamon. 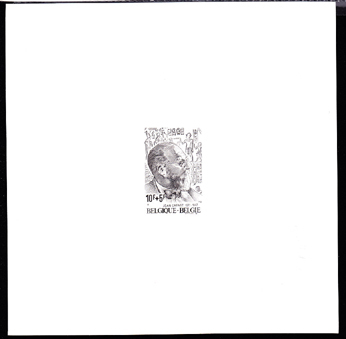 Oversized Helio-Vaugirard proof showing issued stamp and photo of the mask. Scott No B12, Yvert No 253. Similar proofs have sold at auction for over $200! 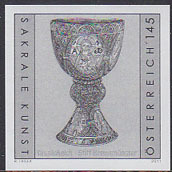 15183 EP AUSTRIA (2011) Tassilo Chalice*. Black print. 8th century bronze chalice.